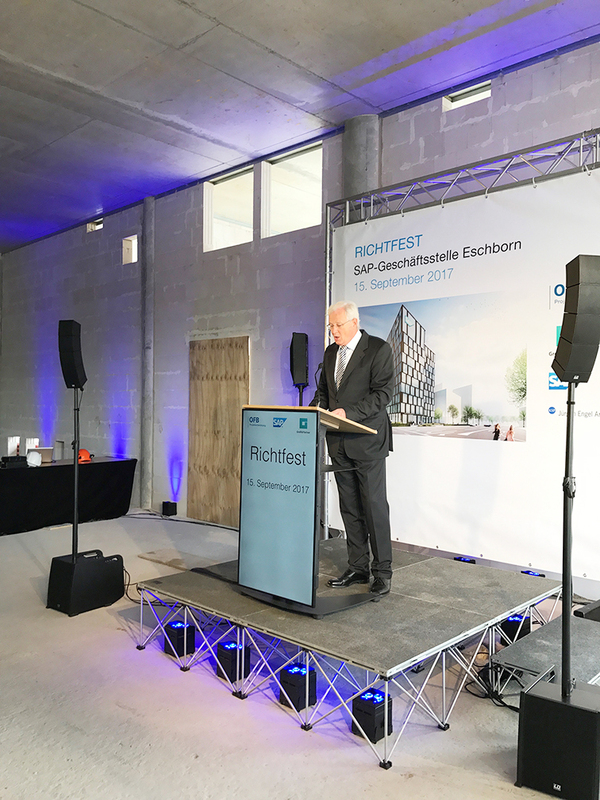 In Eschborn, SAP AG is merging four office sites in a new high-rise building. 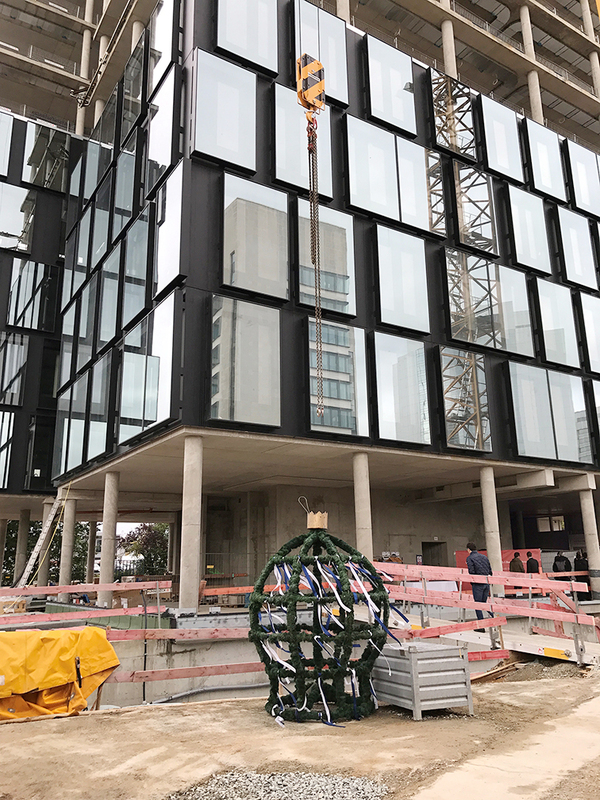 We are planning this project starting with the survey, followed by the needs assessment, and leading to the plans for the construction of the new building. 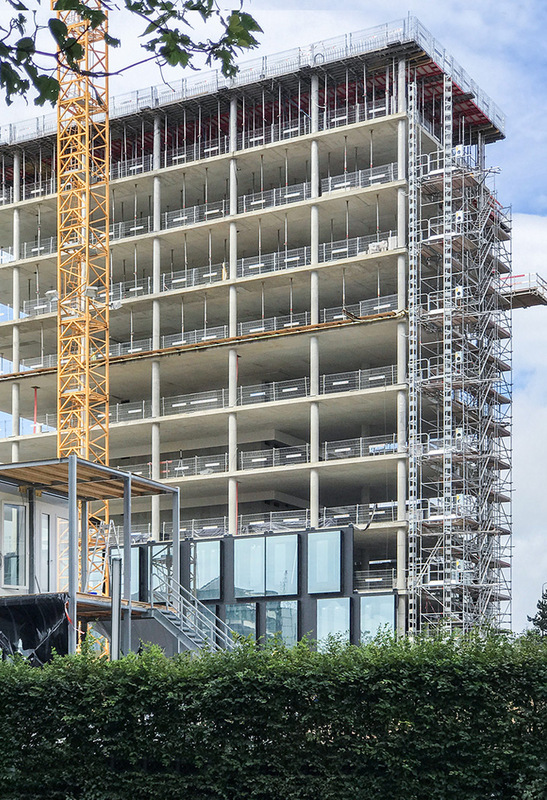 We will then design the new working environments – including the space and materials concepts – with an all-encompassing concept for office spaces, training facilities, conference rooms as well as the employee restaurant. 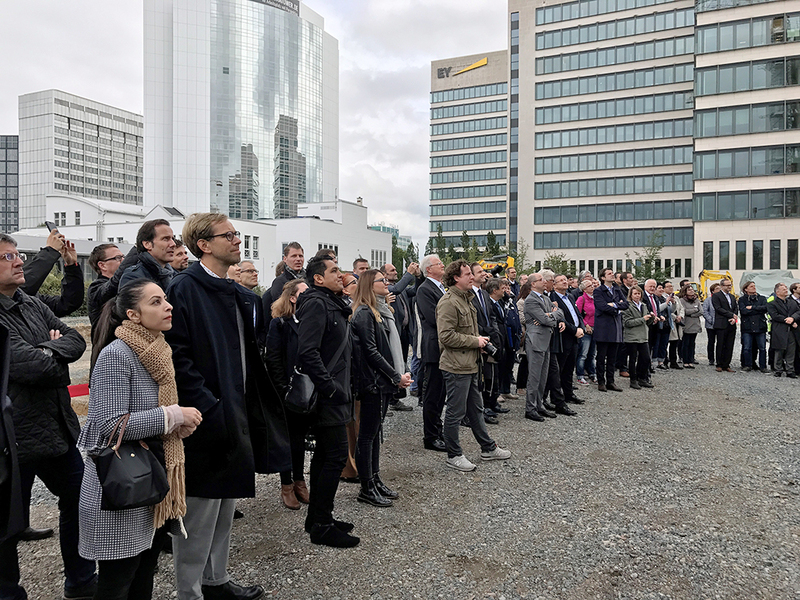 On 15.09.2017, we celebrated the topping-out!